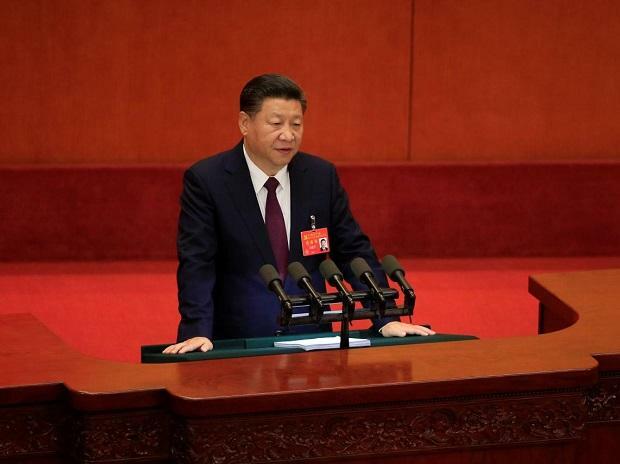 Chinese President Xi Jinping | Photo: Reuters. India has effectively imposed certain redlines on Chinese President Xi Jinping's ambitious Belt and Road Initiative in South Asia, a US expert has said. India is the only major country in the world to have opposed Chinese President Xi Jinping's ambitious Belt and Road Initiative (BRI). "India has effectively imposed certain red lines on the Belt and Road Initiative in South Asia, said Andrew Small, senior transatlantic fellow, German Marshall Fund of the US. India skipped the Belt and Road Forum (BRF) in May last year due to its sovereignty concerns over the CPEC, a flagship project of Silk Road project, officially called OBOR. During a hearing of the US-China Economic and Security Review Commission, he said that India has drawn those red lines in Sri Lanka, Maldives and Bangladesh. "There are areas where India says there are things that we're not comfortable with. This isn't just an economic choice," Small said. Small said China worked very hard politically to get Moscow's acquiescence to the Silk Road Economic Belt and the Eurasian Union merger. "It's even as we think we'll hear, managed to reach some sort of terms with Japan. It really didn't put those political efforts with India in the first phase, he noted. "They were bounced into a plan that they had no stake in shaping as CPEC was moved under the auspices of the BRI and to India's surprise, and I think China has now seen some of the repercussions in the region to that, not just the fact that it is the only major country not to send significant representation to the BRI forum, Small said. India is the most significant country that's actually pushing back against Chinese efforts, he said. "Now, India is very well aware of its limitations and these aren't just the financing available to the Indian side, it's also, of course, India has a lot of infrastructure development to do at home," he noted. According to another expert, Gwadar port in Pakistan's Balochistan province poses a security threat to India. "Gwadar, I would say the challenge is probably more for India than the US in the near-term that if China was to put more military capability into Gwadar or nearby, it would certainly serve as a way to kind of monitor Indian Naval activities in the Arabian Sea, and I think already causes Delhi great concern, said Daniel Kliman, senior fellow, Asia-Pacific Security Program, Center for a New American Security.